Stephane Shongo was destined for the 2019 USL Experience after the sort of year he had in the Super Y League, but for the young goal scorer he’ll be sharing the opportunity with several of his club teammates, making it all the more special. 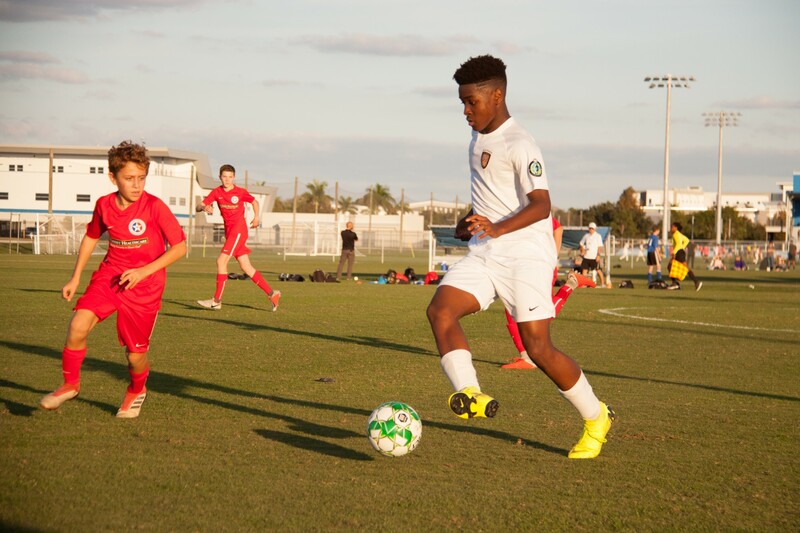 The 13-year-old striker will be joined by Atlanta Fire United Tottenham teammates Maxwell Mitchell and William Donnelly, which Shongo says makes the prospects of USLX even more exciting. The Atlanta Fire United player has made waves around SYL this past year with a brilliant regular season that featured 21 goals. That was then followed up by another five-goal performance at the 2018 Super Y League Finals in December, capping off a tremendous season for the Suwanee, Georgia native. Despite his superb efforts on the field though, Shongo recognizes that USLX presents another quality to improve upon his arsenal of skills. “I really hope to learn to improve my technical ability,” Shongo said. “I want to use this experience as an opportunity to get some good advice from the coaches and hopefully find a way to bring that back to my game for the upcoming season.